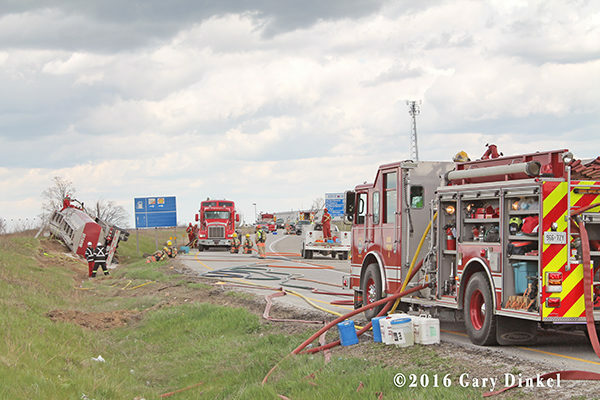 North Dumfries, Ontario firefighters were dispatched to a tanker rollover May 8 at 7:23 on the east bound off ramp from Highway 401 to Cedar Creek Road. 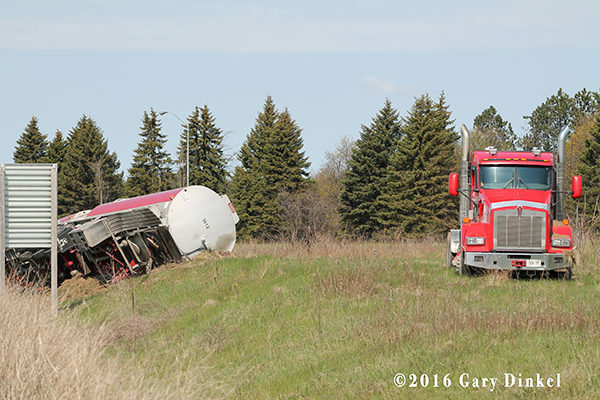 A tandem tanker carrying 13,600 US gallons of Ethanol rolled over with fuel leaking from the rear trailer. 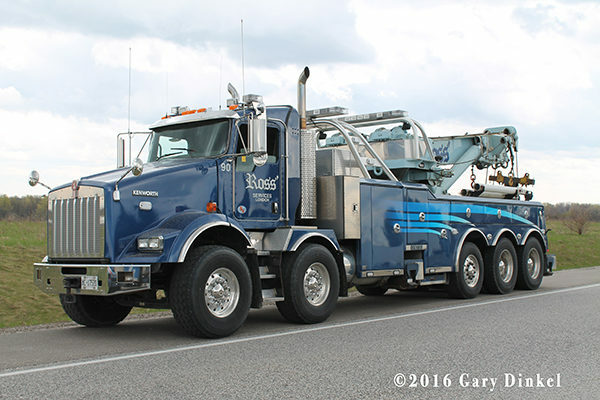 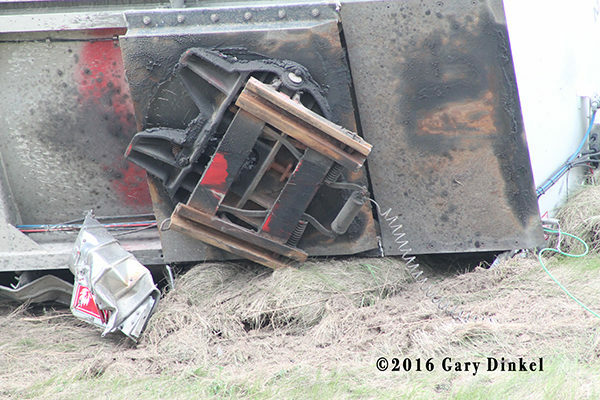 The driver of the truck was able to keep his cab upright despite the fifth wheel ripping off the back. 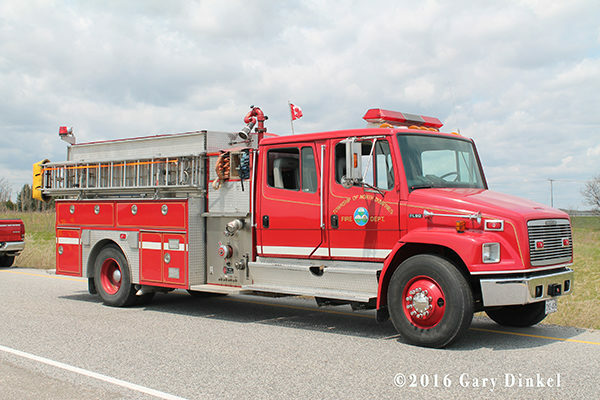 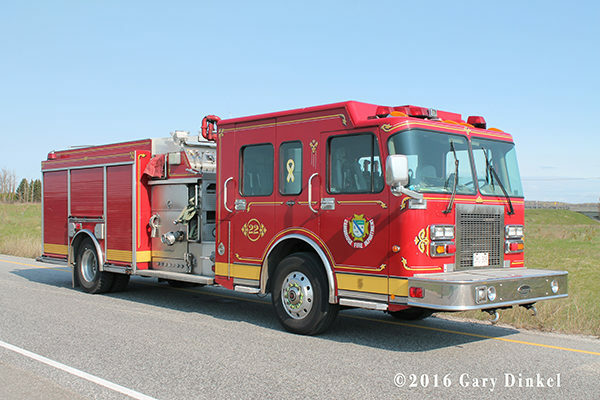 Once on scene North Dumfries (Ayr) requested Cambridge respond with their haz mat truck, rescue, and tanker. 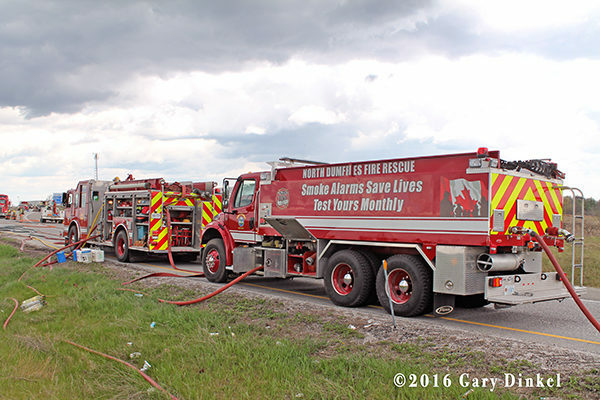 North Dumfries responded with two pumpers, two tankers, and a rescue. 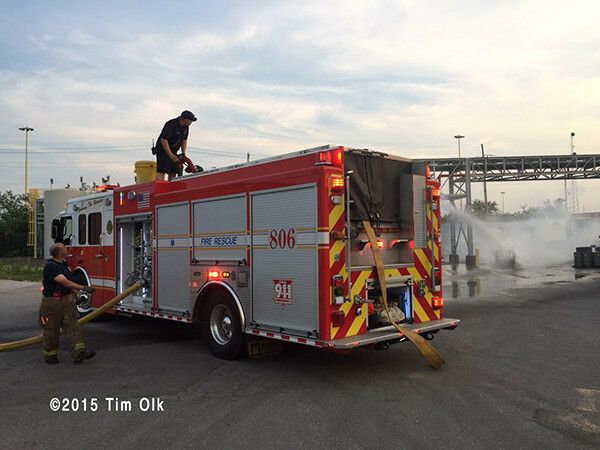 Additional foam was brought to the scene from Cambridge HQ and Ayr. 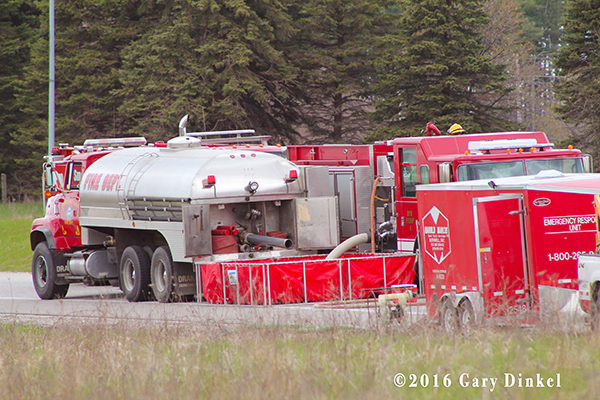 A private haz mat team responded to the scene to off load the fuel which was pumped to another tanker by 15:00. 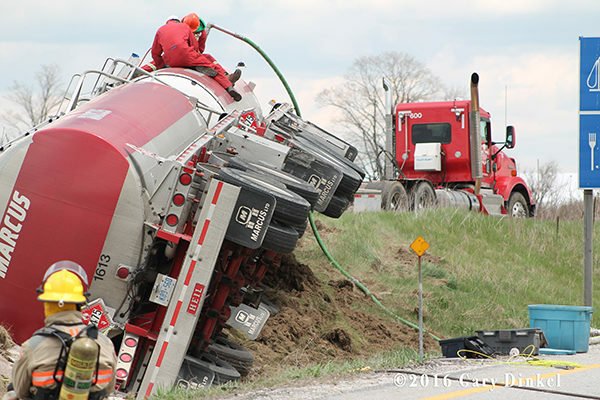 The tanker was up righted and lifted over to the road by 17:00. 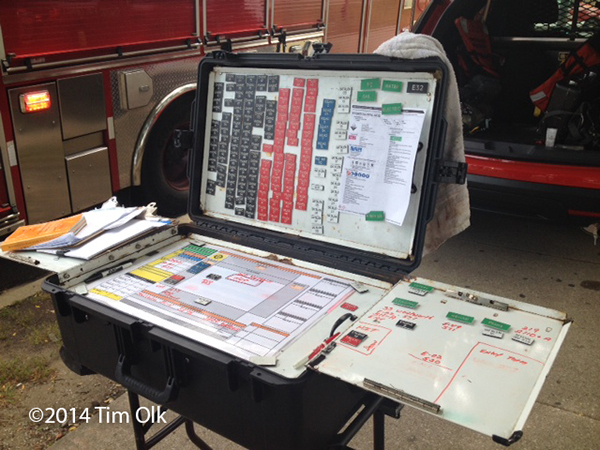 Box 690 was on scene 5.5 hours providing breakfast and lunch for the emergency crews. 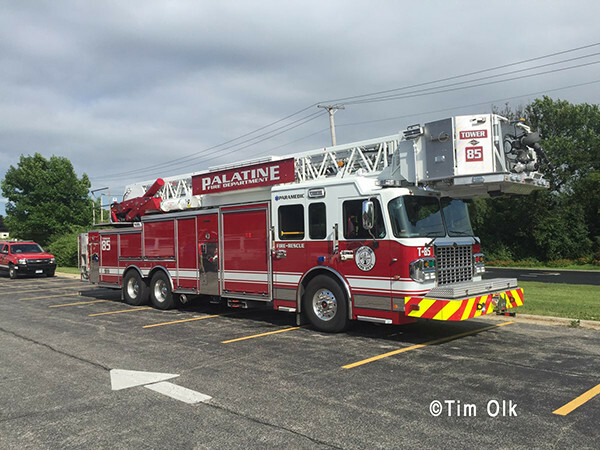 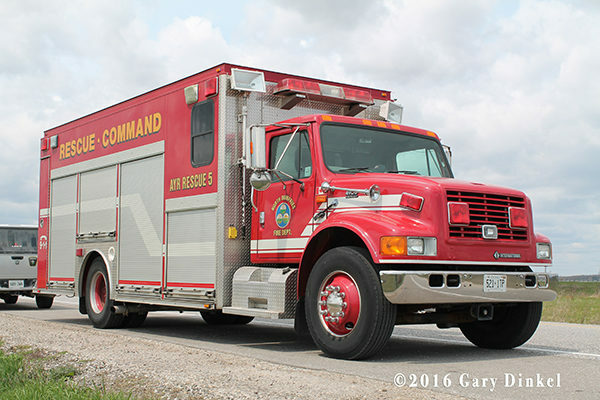 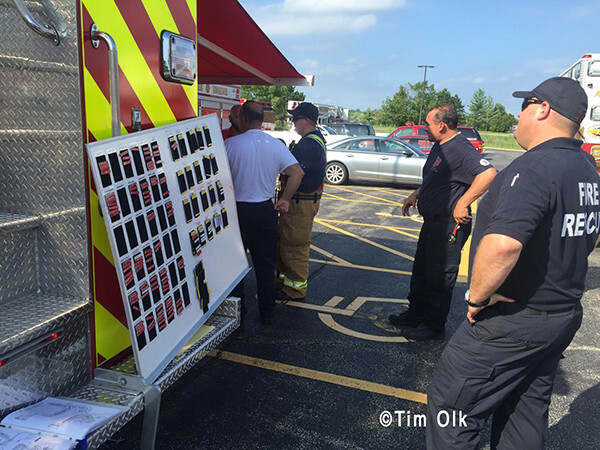 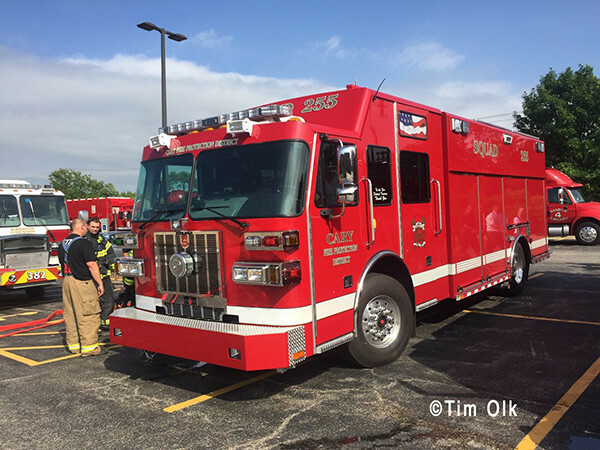 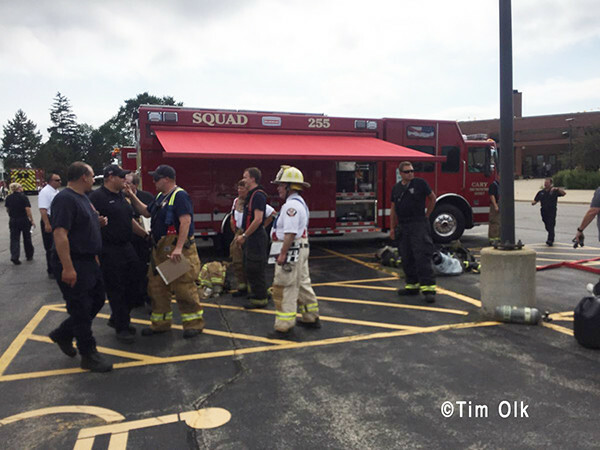 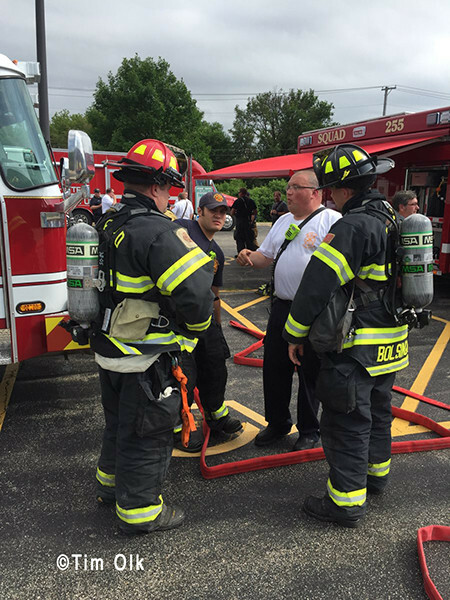 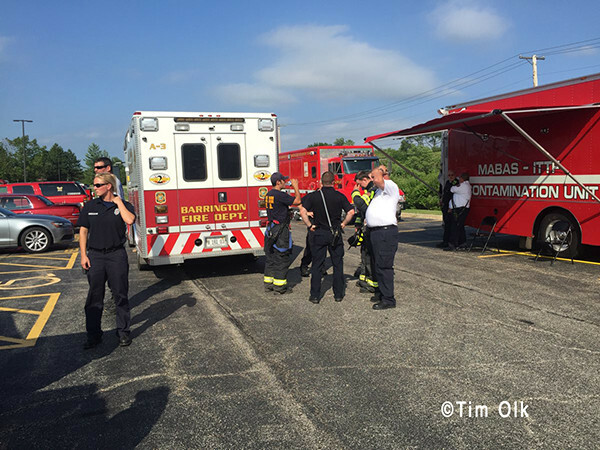 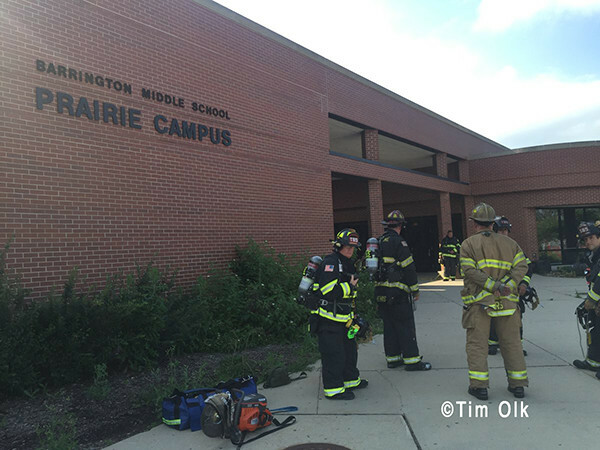 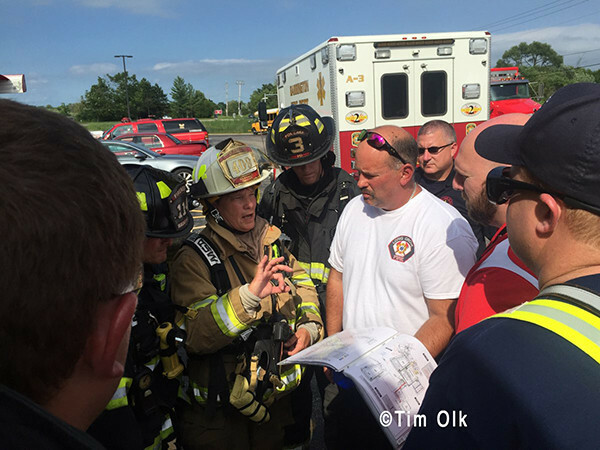 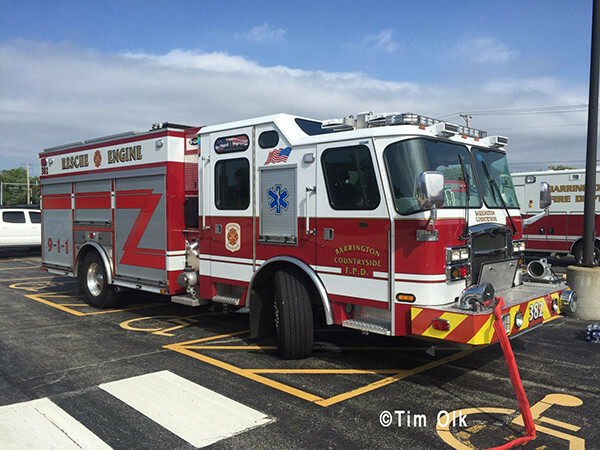 Firefighters from several agencies assisted the Barrington Fire Department at a hazardous materials incident at 40 E. Dundee Road in Barrington, IL (7/13/15). 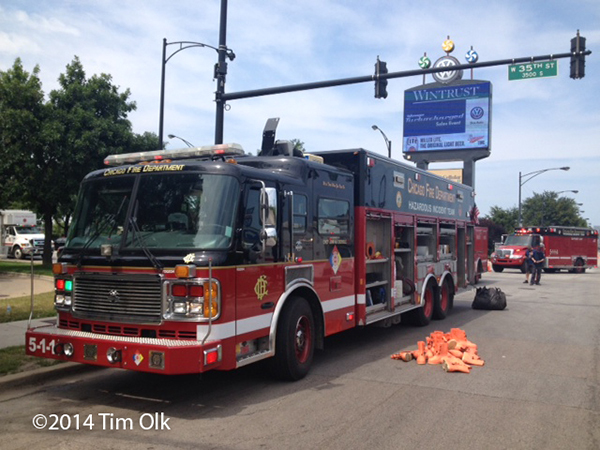 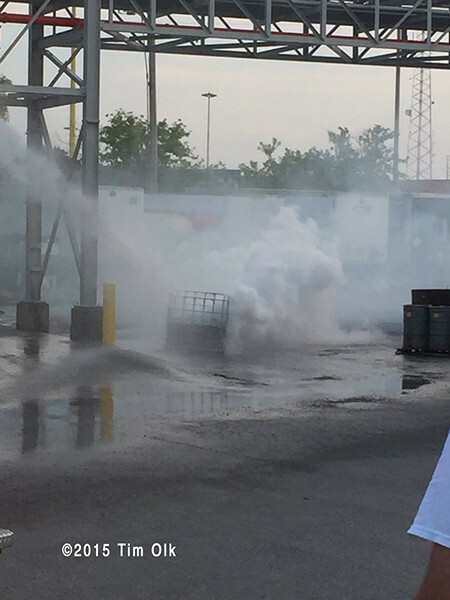 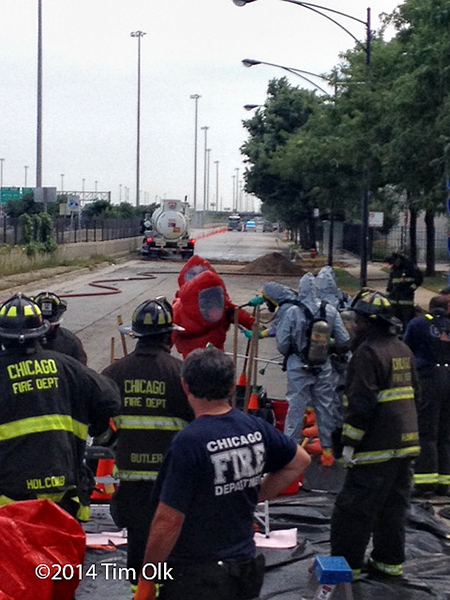 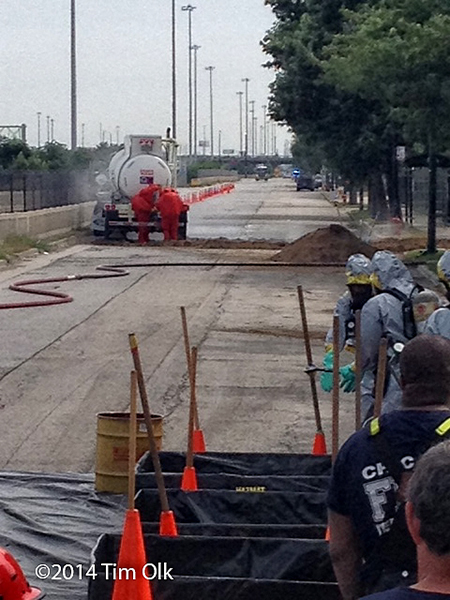 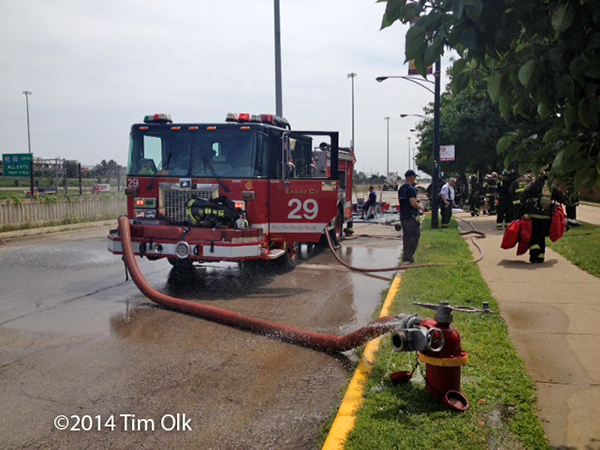 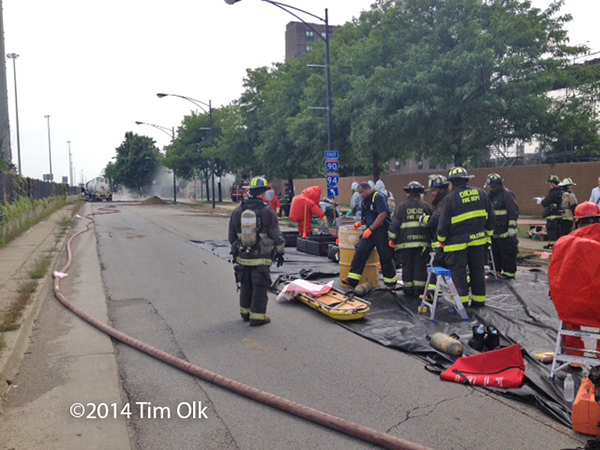 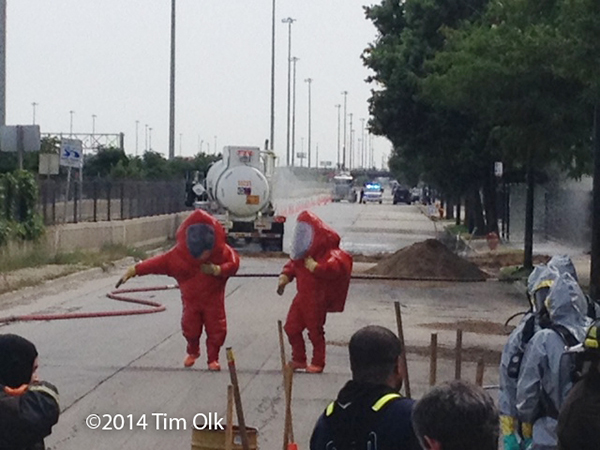 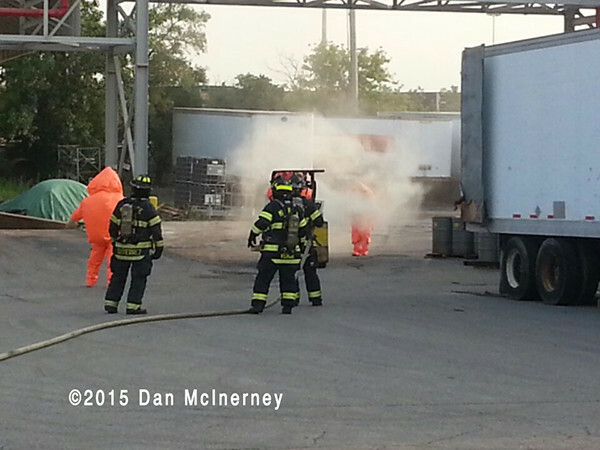 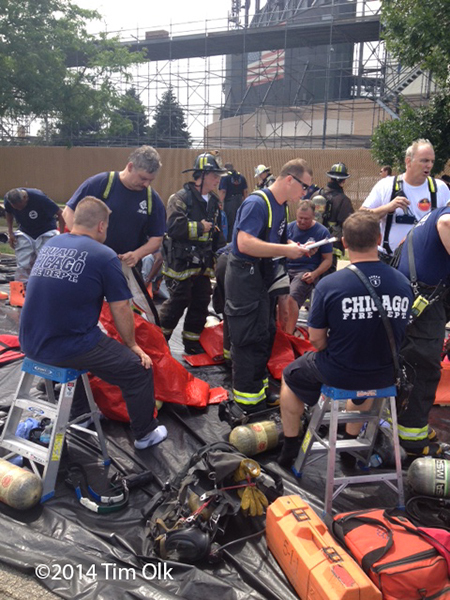 Northlake FD (IL) went to a 2nd Alarm Friday (7/10/15) on a Haz mat Box at Sun Chemical, 111 W. Lake Street. 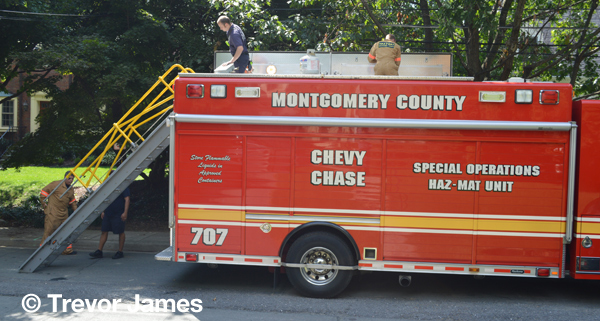 Montgomery County Fire & Rescue units from the 2nd Battalion and NIH (National Institutes of Health) company 51 responded to the HazMat incident/leaking propane tank on Fairfax Road in Bethesda on Monday. 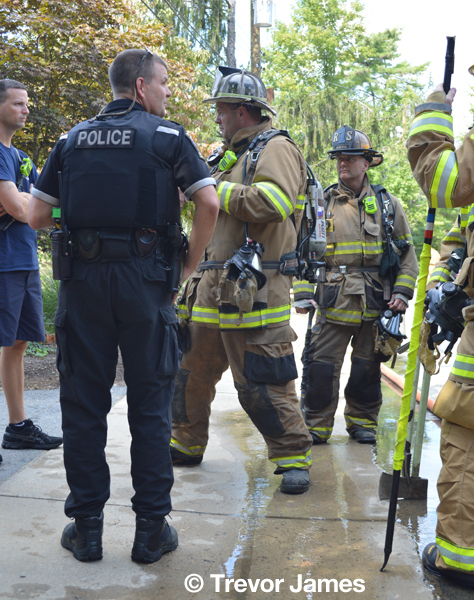 Due to the explosive danger from the leak, evacuations of the surrounding neighborhood were ordered by the commanding officers. 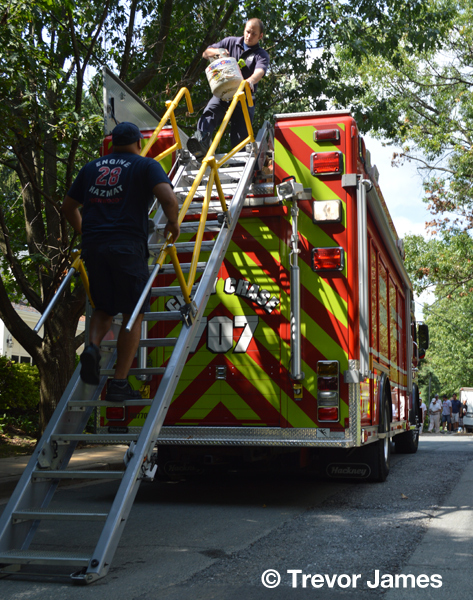 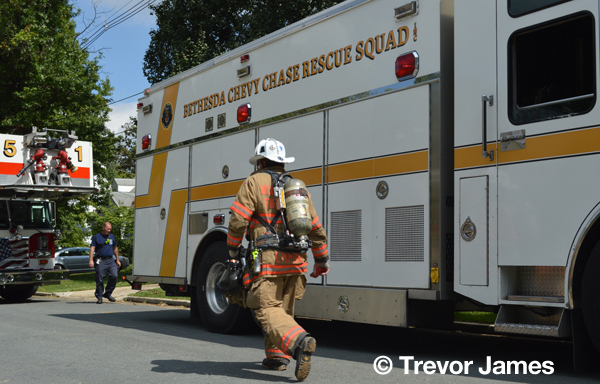 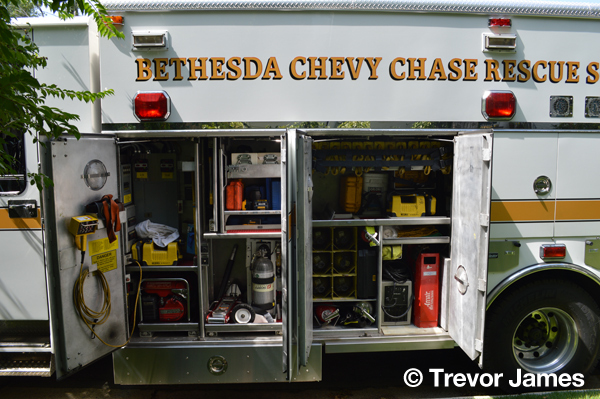 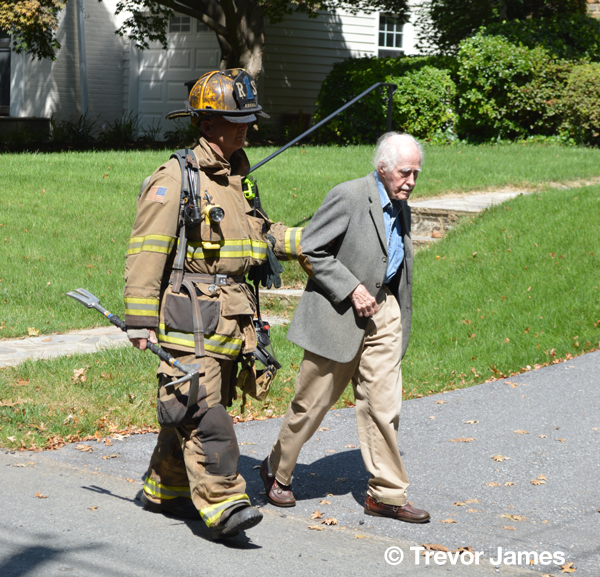 The BCCRS (Bethesda Chevy Chase Rescue Squad) Rescue 1 team initiated the evacuation of residents on Fairfax Road leading the residents out of the hot zone to a safe location. 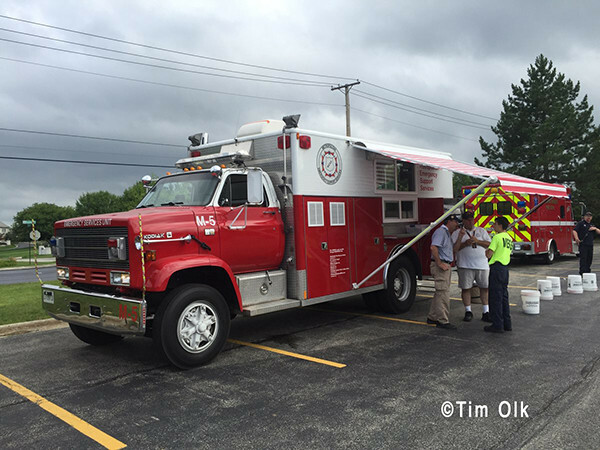 Buses were brought in as well as EMS units to provide refreshments and aid to the evacuated residents. 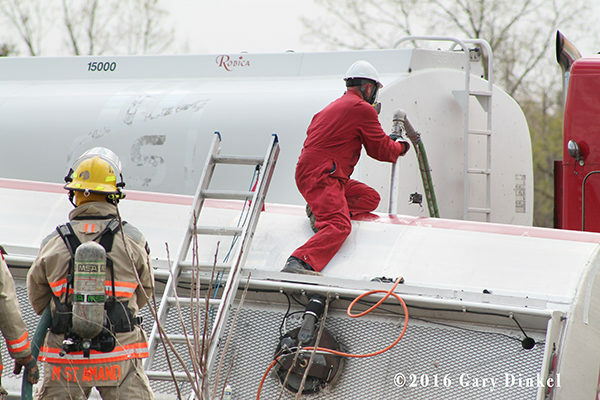 HazMat 707’s crew worked to mitigate the leak by flaring/burning off the propane throughout the afternoon. 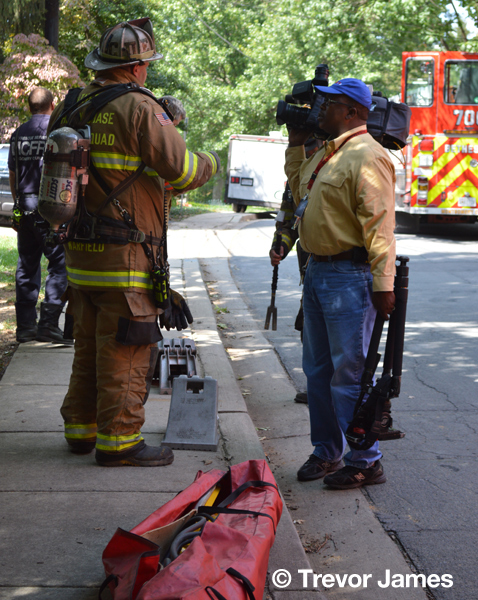 The entire incident lasted approximately 5-6 hours. 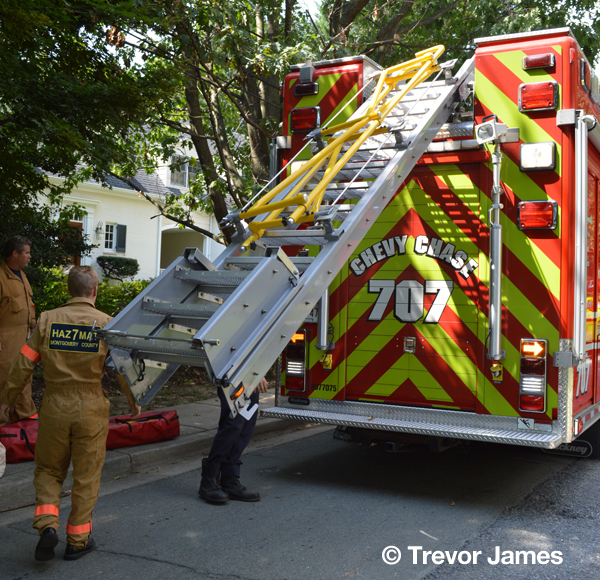 Here are some photos from the initial evacuation and showing HazMat 707’s crew taking necessary gear off the rig to walk-in to the hot zone. 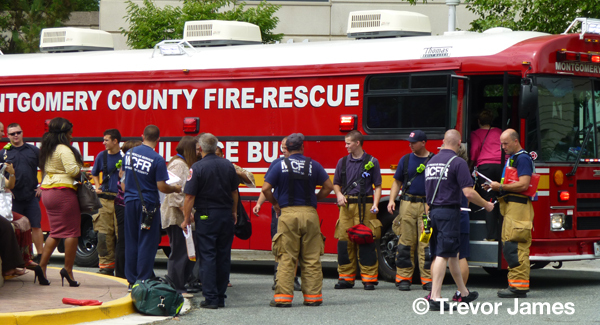 Prince Georges County Fire Department (MD) units responded to the Level III HazMat at the Laboratory for Physical Sciences (http://www.lps.umd.edu/) on the campus of the University of Maryland Friday afternoon. 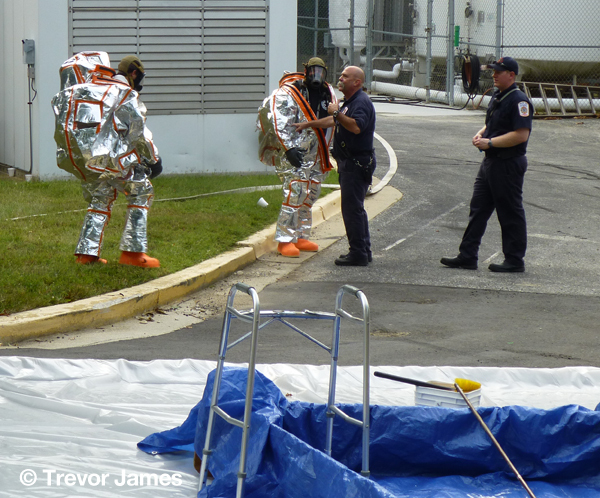 Units discovered a release of what is being reported as hydrogen bromide in a “Lab Clean Room”. 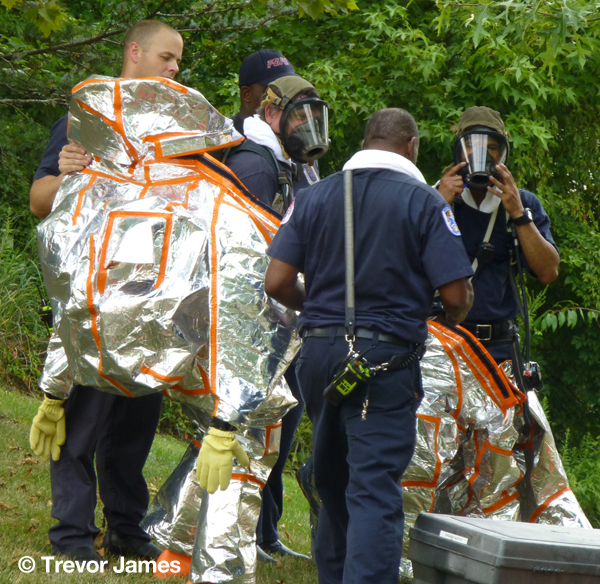 HazMat units worked to contain the release and also performed a three stage decontamination of the firefighters and HazMat technicians who were involved in the operation. 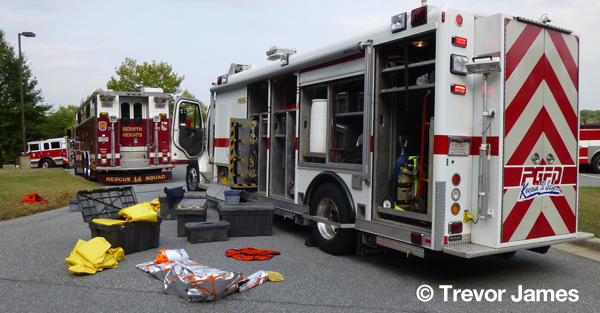 Units from the Prince Georges County HazMat team were on the scene as well as support units including Squad 14 (Berwyn Heights), Engine 12 (College Park), Truck 34 (Chillum-Adelphi), Engine 1 (Hyattsville), the PGFD Command Unit and various other engine companies, battalion chief units and support teams. 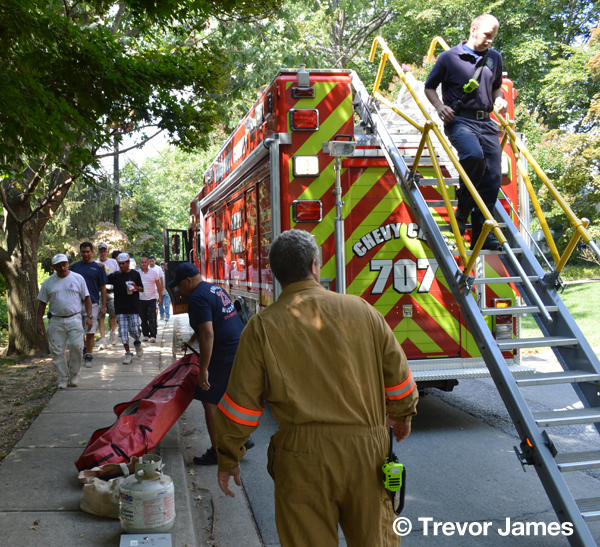 Thanks to Mark Brady, Chief PIO of PGFD for supplying info on the incident via his Twitter feed https://twitter.com/PGFDPIO. 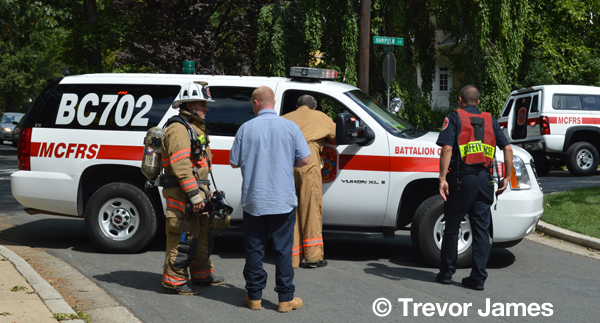 At this time, no one was reported to be injured from the incident. 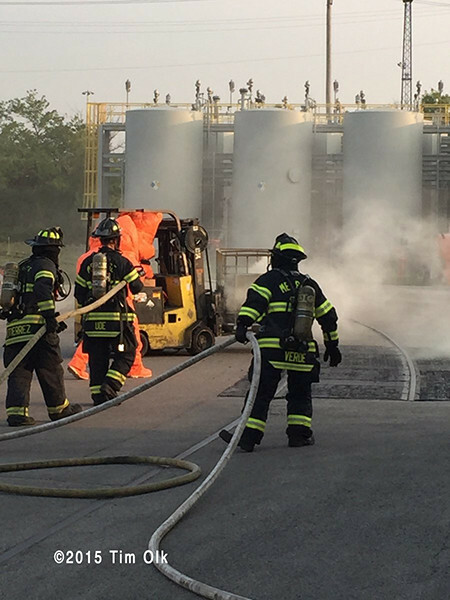 The incident was ongoing as of 6 p.m. on Friday but units were working to complete the decon process. 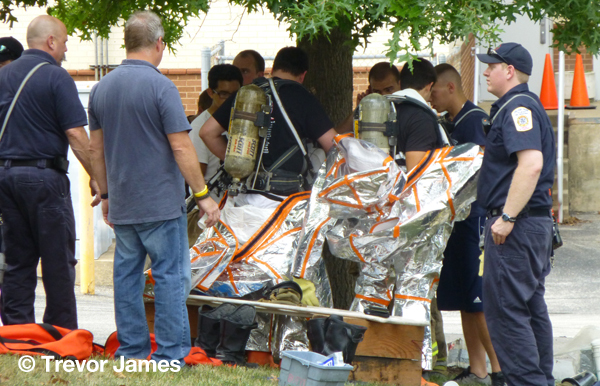 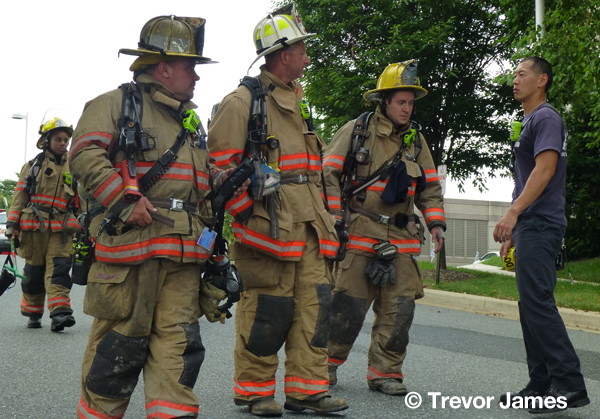 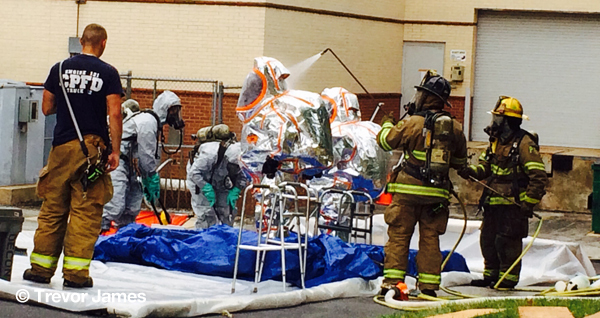 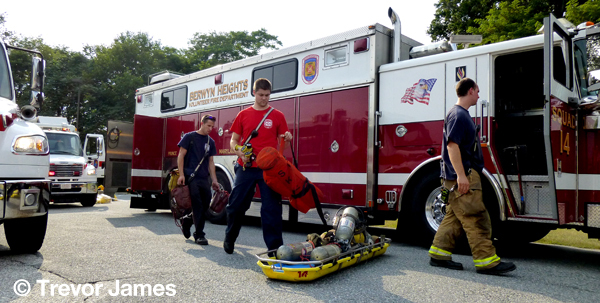 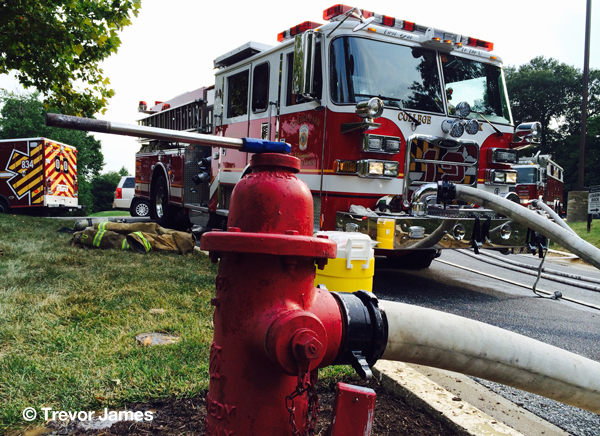 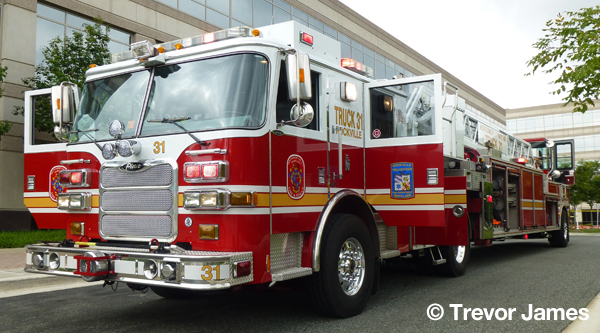 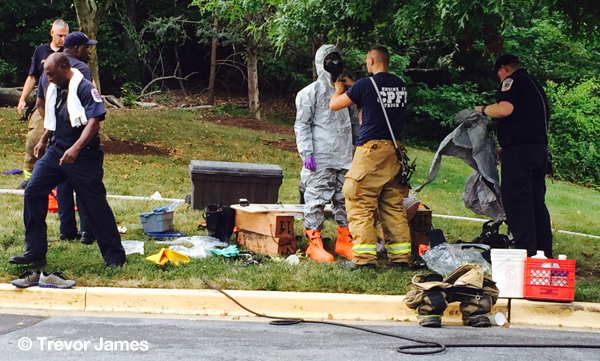 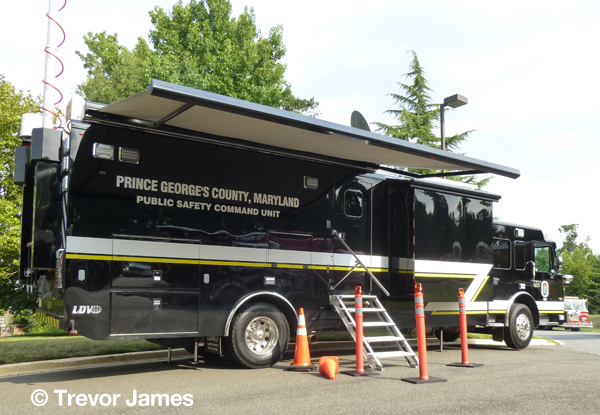 Montgomery County Fire & Rescue units responded to the Haz-Mat incident in Rockville, MD Tuesday morning. 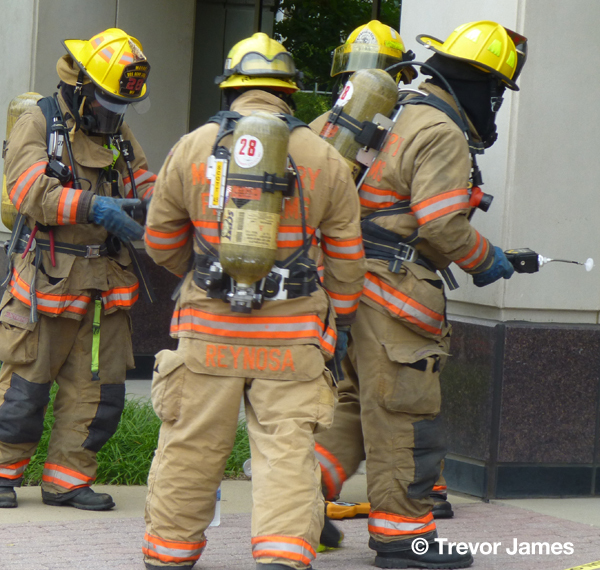 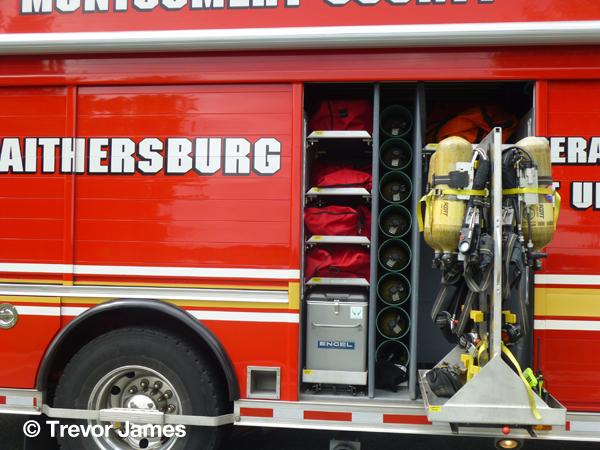 Hydraulic oil in an elevator shaft/unit burned causing fumes to spread through two office buildings. 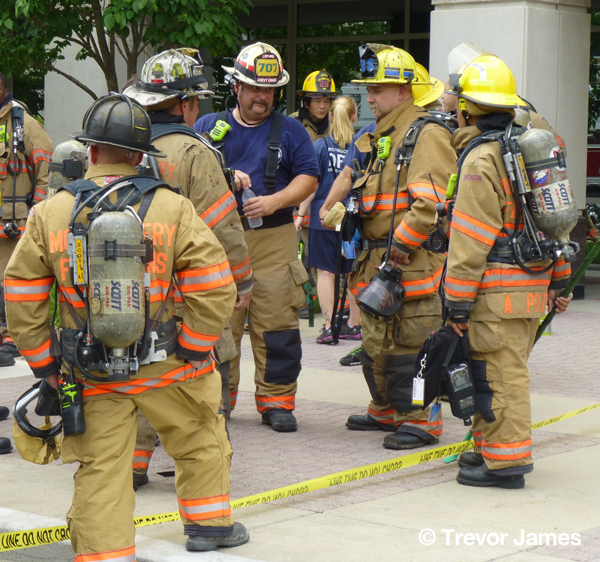 Approximately 30 of the building’s occupants felt ill due to the fumes, and the incident was upgraded to a mass-casualty event. 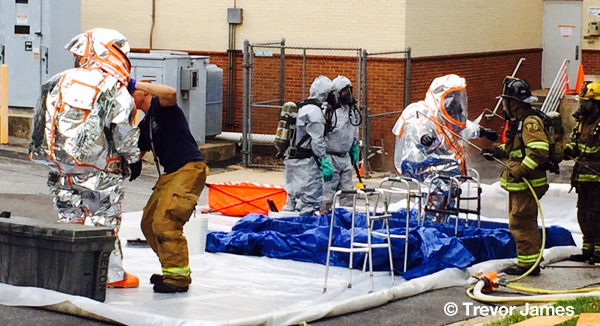 Haz-Mat units 728 and 707 were both on the scene to provide haz-mat mitigation. 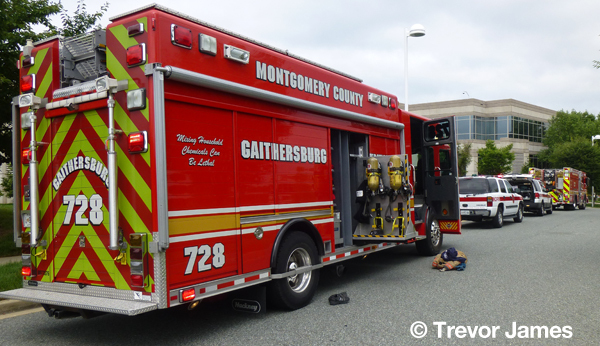 Rescue Squad 703, multiple engine and truck companies from Rockville and Gaithersburg, and the Medical Care Support Unit responded. 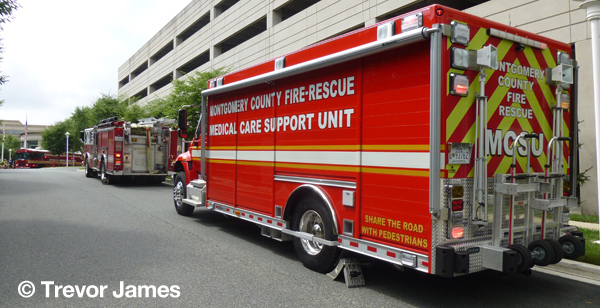 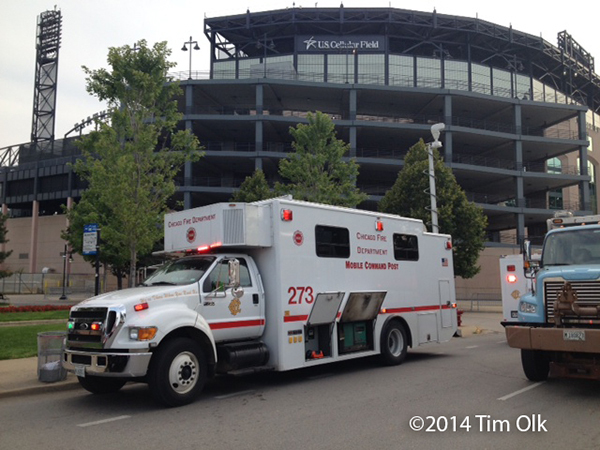 The Medical Ambulance Bus was used to transport patients to a local hospital. 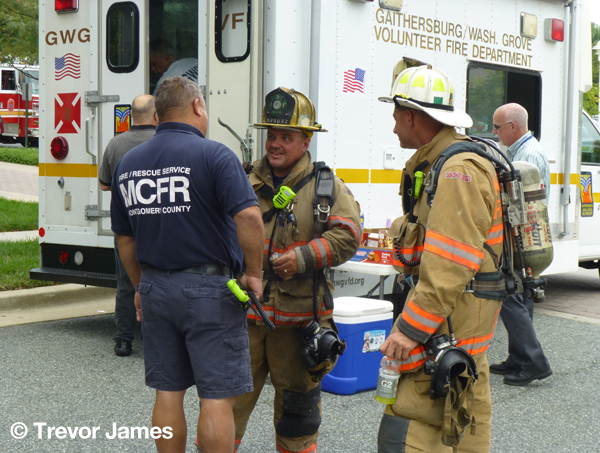 Gaithersburg/Washington Grove Volunteer Fire Department Canteen 708 provided refreshments and hydration for the firefighters, office complex staff, and patients.